About the Author: Harper Sloan is the New York Times and USA TODAY bestselling author of the Corps Security and Hope Town series. She started writing as a way to unwind when the house went to sleep at night. 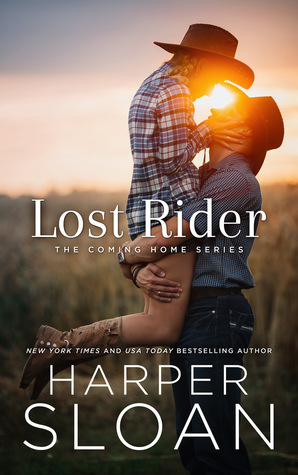 Harper lives in Georgia with her family. Visit her at AuthorHarperSloan.com or Facebook.com/HarperSloanBooks. Noteworthy experiences while reading this book: This book was my first by author Harper Sloan but it will not be the last! Notes and Opinions: This book is swoony in the best possible ways and I just couldn't put down. This was a very sweet romance and I connected with all the characters and their situations. It was a bit of a slower book but that worked well in the end. I can't wait to pick up book two. Which lucky I have hehehe. Go Into This One Knowing: This was a great story about romance and second chances.